WASHINGTON — Matt Kemp was in a helpful mood Tuesday afternoon. Manny Machado was the topic of conversation inside the NL All-Star team clubhouse at Nationals Park. 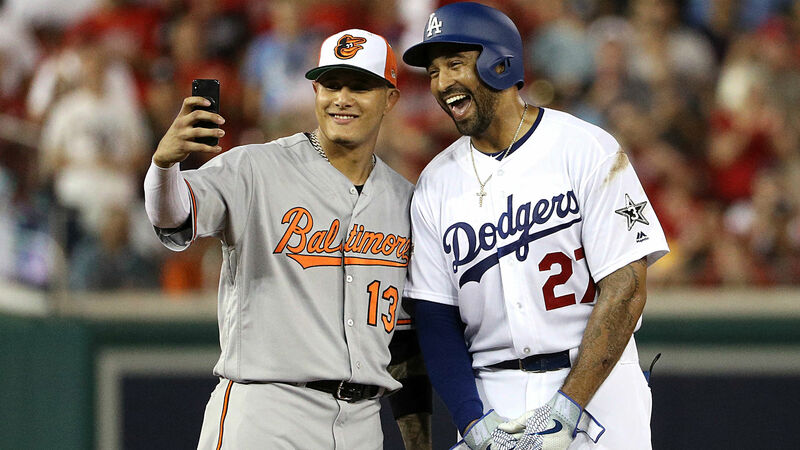 Not only is Kemp one of the stars on the Dodgers — the team Machado is rumored to be joining soon — but Kemp and Machado are friends and past offseason workout partners in Miami. Machado wasn’t really texting Kemp. It was amusing, though. Everyone had a good laugh. The pregame media access happened a couple hours after USA Today’s Bob Nightengale reported that Machado to the Dodgers was essentially done and would be announced on Wednesday. Kemp didn’t have any inside info, but he did like the idea. It Machado does head to LA, it would be the second big recent athlete addition. A couple hours later, another report surfaced that supported Nightengale’s tweet. The Dodgers have long been considered a contender for Machado, who is set to become a break-the-bank free agent this offseason. The Dodgers have a long-term shortstop, but Corey Seager is out for the year with an elbow injury. Plugging Machado into that position for the rest of 2018, with a club that returned a large portion of the roster that made it all the way to Game 7 of the 2017 World Series, seemed like a no-brainer — if the teams could agree on the price of that rental. Nightengale and Rosenthal weren’t the only people predicting Machado’s landing spots during the All-Star events. On Sunday, I asked an Orioles fan wearing Machado’s No. 13 jersey — from Wisconsin, coincidentally — where he thought Machado would land. “The Phillies. It’s done. Over.” He said it with such confidence that I thought maybe I’d missed news breaking on Twitter in the previous five minutes. And as for Machado? No predictions, though he’s clearly ready for the speculation to end.